You are here: Home / News / Uncategorized / New SE Series Unveiled! 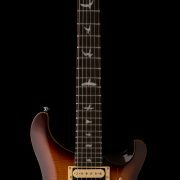 http://www.prsguitarseurope.com/wp-content/uploads/2016/10/prs_se_custom_24_2017_tobacco_sunburst.jpg 3000 1125 Kieran Morgan http://www.prsguitarseurope.com/wp-content/uploads/2014/06/340-300x137.jpg Kieran Morgan2016-10-18 18:59:162016-10-18 18:59:16New SE Series Unveiled! Limited Edition Satin Nitro CE Models Paul Reed Smith tours Europe!